Nothing beats great music, great company and beautiful music. And if the weather is exception, that’s even better. Late last year we had an opportunity to attend the first ever Car Boot Unplugged Lifestyle Picnic hosted in Polokwane, Limpopo. This was one of the highlighted events we had in 2018. 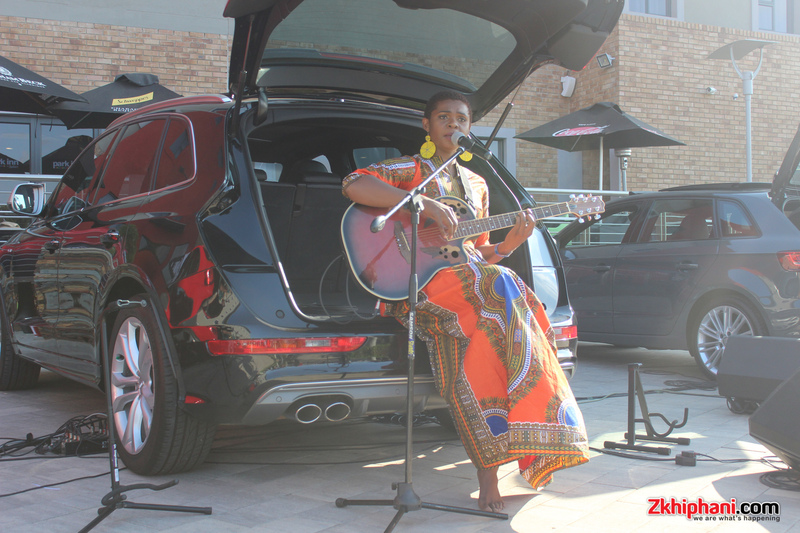 Car Boot Unplugged Lifestyle Picnic is the brainchild of Polokwane based Afro Soul singer and songwriter, Ntsikwane Rapheshu in partnership with Audi Centre Polokwane and Park Inn Radisson in Polokwane. The whole intention of the event is to enjoy live music performances provided by the cream of the crop of Polokwane artists. And all of this was done out of the boot of luxury Audi vehicles. Her intention for this event and many more to come is to bring a fresh take on how music is enjoyed and consumed. She also highlighted the fact that she wants to see an artist who sings Sepedi up there with the greats. “We need to get my language, we need to get my music out there”, she emphasised. At the event we got introduced to incredible singer, Baldwin Kay as well as rising female vocalist, Black Queen. Jayson and Malatji were also part of the list of artists who impressed us. The idea for this kind of session was sparked by the fact that Ntsikwane never had any places to perform her music. She then called a few of her friends and asked them to meet her at a certain park one day and this is how these sessions were born. A few investors jumped on board with her idea with Audi Center Polokwane, Park Inn Polokwane and Global Oil SA being the main ones. Other businesses in the area who saw the potential for this event are Naks Concepts who provided photography services and Tea’OClock for the decor. Beefeater London hooked guests up with the drinks, Kaross Investment did the sound, Naomi Mamakiri handled the fashion and RachMilly Media did the PR services. Ntsikwane hinted at plans to have this type of event on a national level and hopefully have it as an annual event. We were invited to experience this one of a kind event ans we left with so much more. Besides the great reception we received, we were also given a first hand account of what happens when a community decides to stand behind their own. We are excited about the talent that is coming out of Limpopo this year!